The amazing increase in the quantity and speed of information, provided by digital means that were unthinkable just 10 years ago, brings us ever-closer to a digital world. This makes the world perceivably smaller, yet more complex at the same time. Goods and services are delivered in shorter periods, while citizens’ expectations towards public services and information, as well as political participation, changes. Whilst traditionally, the interactions of governing bodies with citizens were usually limited to the general acquisition of services, petitions, or referenda, citizens now question top down approaches of governance and demand more inclusion in the processes of modern democracies. New tools open the door for unprecedented interaction with and unprecedented scrutiny of institutions and governments. Citizens can make their voices heard and offer their expertise. They can bridge the often-perceived gap between administration and citizens. Therefore, eDemocracy and eParticipation are not isolated phenomena, but evolutionary steps in, and for, open societies. However, one should be cautious about the risks involved with every new technology and not dismiss those over the potential gains. Cyberattacks like WannaCry in May 2017 show just how vulnerable software systems can be. Therefore, digital institutions need to be prepared against global cyberattacks. Influxes of false or biased information, both for and by domestic and foreign actors, are shaping opinions and polarising societies. 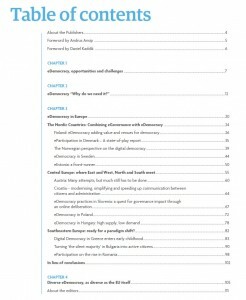 This publication on the digitalisation of politics is intended to provide an overview of how the countries and citizens of the European Union try to reinvent their democracy, and how far along they are in adjusting their institutions and organisations to the needs of the digital era. 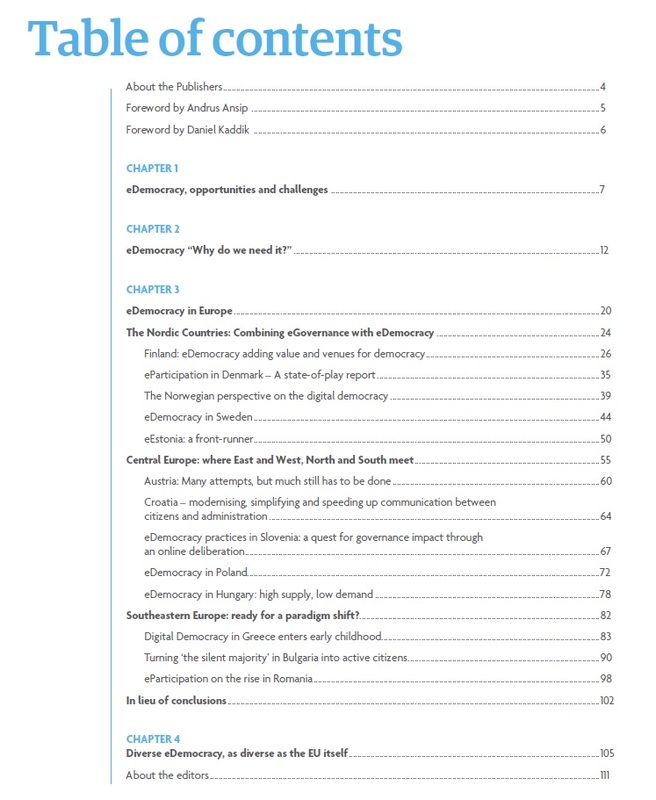 It compares the realities in countries of Northern, Central and Southeastern Europe, analysed to provide the reader with information about their ICT potential and challenges. We are convinced that the European network of citizens through common learnings and exchange, will connect the best of both the EU and the digital realms. For a more democratic, free, and prosperous Europe. The publication was presented in the European Parliament on 28 November 2017.